Finally Bungie have added a touching tribute to Cayde-6’s death in Destiny 2. This is something that I think a lot of us have been secretly hoping to find since Forsaken launched, and now we have somewhere to go and cry over the loss of the greatest Hunter Vanguard who ever lived at last. If you head over to see Amanda Holliday then you’re going to hear her talking about something on the wall, a tribute to the Hunter Vanguard. If you then have a look on said wall you’ll see the cloak Cayde-6 was wearing when he was brutally murdered by Uldren Sov. 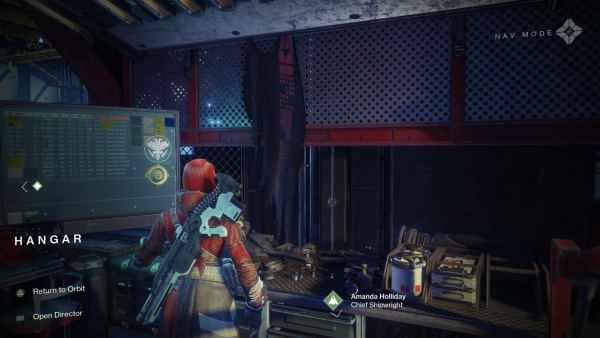 At this cloak you can pay tribute to Cayde-6, something that a lot of Guardians have wanted to do since the launch of Destiny 2 anyway, but now we can also do it because he’s dead, very sad. Unfortunately there’s no reward for paying tribute to the cloak, but some think that we might get the cloak in Destiny 3 when that eventually releases. What strikes me most about the addition of this cloak isn’t the fact that it’s a further expansion of the translation of emotions to buttons in video games, bringing back memories of the stories surrounding Call of Duty Advanced Warfare and the ’emotion’ you got to show in that, it’s what this shows about the future of Destiny 2. If Bungie is making small additions like this that add to the lore of the game, expanding the social spaces in a way that’s meaningful and gets noticed by Guardians, then the game is going to look very different very quickly. In Destiny 1 when we destroyed the end boss of the base game nothing changed in the social spaces, but in Destiny 2 everything changed, including the Traveller. When we finished Curse of Osiris and Warmind however we got no changes, just new social spaces. While that’s great, it doesn’t add to the game’s elemental storytelling like this cloak does. I think that with Forsaken Bungie has made many strides towards a Destiny 2 that fans are united by, but with more steps like this they’re going to see a much better response from us Guardians. Let us know what you think in the comments.